CSZ teams up with FansCloset.com! We are happy to announce that fanscloset.com is now an official sponsor of CardinalSportsZone.com! 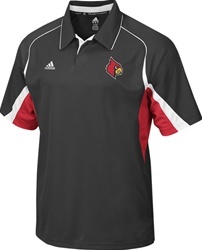 Be sure to check out the site and get your Louisville Cardinals merchandise for great prices! Here is their mission statement: A website dedicated to college fans who support Kentucky college sports teams. Specializing in the University of Kentucky and the University of Louisville college apparel. We offer an alternative to the national chains, local retailers and other web based stores. Our goal is to ship within 24 hours. Orders arrive to most customers within 2-4 days. If you are in Kentucky, we are currently averaging 3 days to your door from our warehouse. We are dedicated to offering quality name brand merchandise at a fair price. Compare brands…it ensures you are getting a quality product and comparing apples to apples. Our goal is to earn your business and make you a lifelong customer. Your satisfaction is guaranteed. If you’re not happy, return it. Please review our return policy for all the details.